The Oławian Hotel is a real pearl among Lower Silesian hotels. Since its grand opening, in May 2010, the hotel has enjoyed the constant interest of guests who are attracted by its exceptional and unique atmosphere and arrive here in great numbers to celebrate the most important days of their lives. The Oławian Hotel is located in Oława – a magical and charming town that has its origins from the late-medieval period. This charm, in connection with our best endeavours , since the beginning of the hotel’s existence, have been aimed at providing our guests with complex services of the highest standard and, in connection with the hotel’s extraordinary atmosphere, contribute together to the fact that the hotel is unparalleled in its category and class. 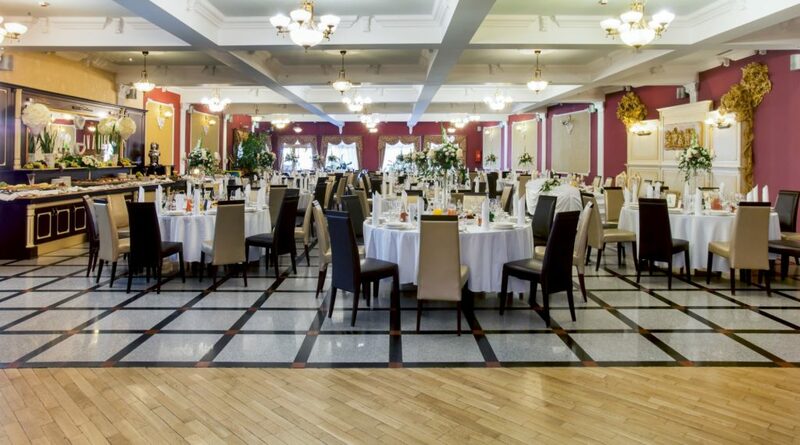 The wide variety of offered services includes the thorough organization of family events, such as birthday parties, first communion and christening receptions, wedding receptions, as well as other occasions for example: barbecues, feasts, banquets and cocktail parties. Apart from a spacious hall with oval or rectangular tables and a private and romantic patio with a fire place, there is also at our guests’ disposal, a specially developed area which comprises a charming summer garden. The Oławian Hotel is also perfectly adjusted to the organization of all kinds of conferences, business meetings, trainings, and presentations – we do have a very well-equipped, modern and functional conference room. There is also an elegant restaurant whose menu includes delicious and carefully crafted dishes for each season of the year and for each time of the day. We would not have gained such recognition among our guests if it had not been for the professional level of our services, provided by our well-qualified staff. They do their best to make our guests feel good and comfortable and to enable them to fully experience happiness derived from the celebrated events. Guided by the desire to satisfy all the needs of our guests, the hotel has been fully adjusted to the disabled including children. Next to the hotel, there is a guarded and monitored car park. We have also thought about the owners of dogs – we have designated a special place for them. The main advantage of the Oławian Hotel is its localization. It neighbours on the railway station and a shopping centre. From the hotel it is only 10 km to the A4 motorway and 40 km to the Wrocław airport. There is also an industrial park in Jelcz-Laskowice – 10 km from our hotel. It is 30 km to Wrocław from the hotel – close enough to cover this distance in short time, and at the same time this distance allows one to forget about urban haste and fully devote oneself to the relaxing atmosphere which prevails in this late-medieval settlement – called Oława.